This Kit comprises the Genius 60 with 30 metres of 1/2 Inch quality top black hose. Connectors and spray nozzle complete the kit. 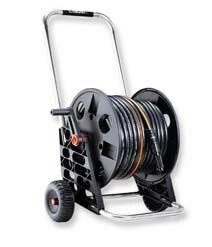 This top quality Claber hose cart and hose will certainly meet the requirements of any medium size garden.